Here is an infographic with tips on how to give fresh life to an old rug. It tells you how to convert your rug into items such as bags or purposes. It also shows you how to find other uses for a rug that are a bit shopworn. Hope you enjoy it and find it useful. The woman who lit up our lives is 60 years old today. Deborah Anne "Debby" Boone was born on September 22, 1956 in Hackensack, New Jersey. Aside from being the third of the four daughters of singer Pat Boone and his wife Shirley. Debby is best known for her huge 1977 hit, "You Light Up My Life." At he age of 14, she began touring with parents and her three sisters: Cherry, Lindy and Laury. The sisters made recordings as the Boones or Boone Girls. Although they primarily recorded gospel music, they also released singles for the Motown and Curb labels that were covers of secular pop songs. Debby, who was the lead vocalist on the recordings, eventually branched out on her own. As the daughter of Pat Boone, Debby had a strict upbringing. She also has a great musical pedigree because her mother, Shirley, is the daughter of country music star Red Foley. Due her parents, Debby was surrounded by some of Hollywood's biggest stars, including Frank Sinatra. In a July, 2013 interview with Nicki Gostin for Fox News, Debby discussed how Ol' Blue Eyes took her under his wing when she was starting to launch her solo career. She was Sinatra's opening act and she stayed at his Palm Beach compound. "It was the 1970's, she said. "He was never grumpy with me. Getting to stay on the property and getting a touch of the life he lived . . . All the guesthouses were named after his albums. They had little notebooks and match pads engraved with our names on them. We could either order room service to our private guest house or we could eat in a common room with everyone. He treated us all like royalty." Debby Boone's first solo effort was "You Light Up My Life." The song was composed by Joe Brooks for a movie of the same name. Brooks wrote and directed the 1977 film, starring Didi Conn. Although the late Kvitka "Kasey" Cisyk, performed "You Light Up My Life" for the film's soundtrack, it was 21-year-old Debby's recording that became a monster hit. The song was charted number one on the Billboard Hot 100 for ten straight weeks. It also won Debby a Grammy Award for for Best New Artist, Remarkably, she has never had another major pop hit. In the 1980s, she focused on country music and Christian music. Debby has also performed in stage in productions such as Seven Brides for Seven Brothers, Camelot and Meet Me in St. Louis. In 1990, she starred as Maria in the Lincoln Center's production of The Sound of Music. In 1996, she played Rizzo in a revival of Grease. In 2001, she played the role of Anna in the Rqdgers and Hammerstein's The King and I at the Thousand Oaks Civic Arts Center in California. Debby's television work includes a 1978 TV adaptation of O. Henry's Gift of the Magi in which she co-starred with John Rubinstein. She also had two of her own NBC musical specials - The Same Old Brand New Me (1980) and One Step Closer (1982). In 1984 she appeared in a television movie entitled Sins of the Past with co-stars Anthony Geary of General Hospital fame, Barbara Carrera and Kim Cattrall. Basically, the truth is I am a one-hit wonder. You know, I have one big hit record. . I had some country number ones and some contemporary Christian records and that kind of thing. I've had a career. But basically I'm known for one recording. And I think people knew who Debby Boone was. I was the daughter of Pat Boone and I was, you know, all-American, squeaky clean, you know, me and Marie Osmond . . .
Debby told the Arizona Republic (March 16, 2003), that her career "wasn't the best-managed career in the history of show business." "I would love to be able to sing a medley of my hits, but I'm not complaining," she said. On September 1, 1979, Debby Boone married Gabriel Ferrer, Gabriel, a priest in the Episcopal Church, is the son of singer/actress Rosemary Clooney (1928-2002) and Oscar-winning Puerto Rican actor Jose Ferrer (1912-1992). His first cousin is Hollywood star George Clooney. Debby told Fox News that she "adores" George and that he "always will be the most charming guy." She also said that she and Gabriel almost never see him because he is so busy. Debby and Gabriel have four adult children: son Jordan (born 1980), twin daughter, Gabrielle and Dustin (born 1983), and daughter Tessa (born 1986). 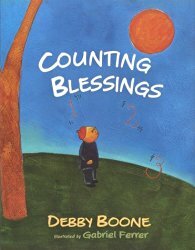 They have collaborated several children's books such as The Snow Angel and Counting Blessing, with Gabriel providing the illustrations. 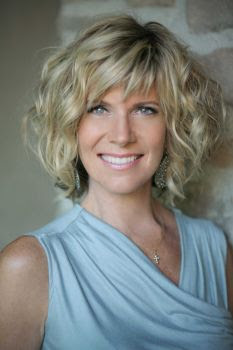 In 2005, Debby Boone released a CD album album called Reflections of Rosemary. The album is a tribute to her mother-in-law, Rosemary Clooney, who died on June 29, 2002 at the age of 74. It is a collection of 16 songs that, according to Debby, paint a musical portrait of the legendary singer. 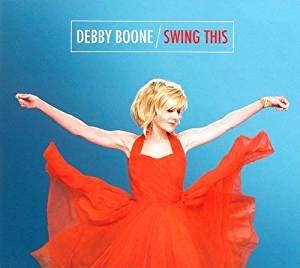 The songs include Irving Berlin's "Blue Skies," Duke Elligton's "Moon Indigo" and Sammy Cahn and Jule Stynes' "Time After Time,"
Debby's most recent album is called Swing This. It is a tribute to Las Vegas during the 1960s "Rat Pack" era. 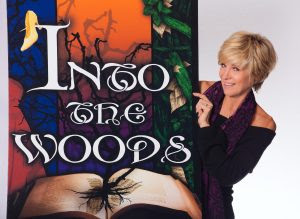 From May 19th to June 5th of this year, Debby starred as the witch in the musical Into the Woods at the Candlelight Dinner Playhouse in Johnstown, Colorado. * Unlike her father, Pat, Debby has become a supporter of gay rights. In April of 2014, she attended the GLAAD Media Awards in Los Angeles with a lesbian couple who attended the church where her husband, Gabriel, was an associate rector. At the event, she stated, "It’s getting to know people -a lot of the gay and lesbian people who I have come to know really well. I just can’t continue to reconcile what I believed with what I know now. It has really shifted the way I grew up thinking." * Debby and Gabriel have a grandchild, a granddaughter who was born in 2015. 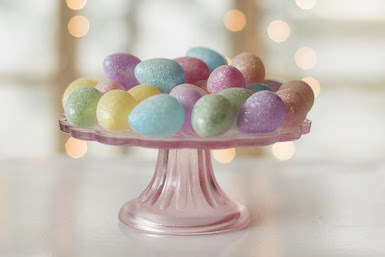 EDITORS UPDATE: (February 8, 2019: Debby's mother, Shirley Boone, passed away on January 11, 2019. Shirley was 84 years old at the time of her death. Hillary Clinton: Does she face blatant sexism? 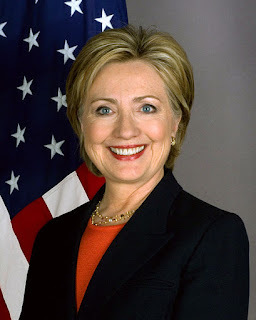 Although I am not an apologist for any politician, I feel compelled to respond to the way Hillary Clinton is being treated by the media and by Donald Trump and his supporters. Enough is enough! Isn't this 2016? Shouldn't a woman be able to run for the office of President of the United States without being called "shrill" and "unlikeable." Name me one male politician who has been called "shrill" and "unlikeable." Has anyone discussed Trump's likabilty? Why should the election of the President of the United States be treated as a popularity contest anyway? Words like "shrill" are part of a code, a cover for anti-woman sentiment, just as President Barack Obama's detractors use code words to hide their anti-black sentiments. Obama's opponents don't dare mention his race, so they question whether he is a "real American" Even though the president's birth certificate has been produced, they still refuse to believe he was born in Hawaii. One of the most prominent of the "birthers," by the way, is one Donald J. Trump. Hillary Clinton, of course, is not without her flaws and she is not above criticism. She is, however, very experienced, very knowledgeable and very competent. She is a supreme achiever. In fact, Hillary is the only American woman who has been First Lady, a United States senator, U.S. Secretary of State and the Democratic Party's presidential nominee. That's quite a resume, isn't it? It may also be the reason she is so disliked. Could it be that a successful and ambitious woman still unnerves a large number of Americans? Is it true that in the 21st century many Americans still consider aggressiveness to be an unattractive and scary trait in a woman, Evidently, the answer is yes. Otherwise, the election would not even be close, considering how much more qualified the female candidate is. Well, I've build a great company. 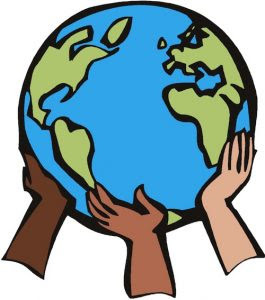 I've been all over the world. I've dealt with foreign countries. I've done very well, tremendously well dealing with China and dealing with so many other countries that are just ripping this country . . .
Donald Trump's reply was so unfocussed and rambling that Lauer was forced to repeat the question.. "But what have you done in your life," he inquired of Trump, "that prepares you to send our men and women into harm's way," This time Trump's response was that he had the good judgement to oppose the invasion of Iraq. Many people have built great companies, travelled all over the world, dealt with China and other countries and opposed the invasion of Iraq. Does that make them qualified to be President of the United States? Trump's lack of experience and skill in foreign policy and diplomacy is worrisome. He is not qualified to make life and death decisions. If he should be elected president, he will be holding office the most powerful public office in the free world. He will be stepping into that office as an inexperienced and ill-prepared neophyte. Frankly, that's a frightening scenario. Hillary Clinton, as we know, does not score well among voters in terms of trustworthiness. She has been dogged by an email scandal, for which she has admitted her error and has accepted responsibility for her mistake. I can't think of any politician who has endured the intense scrutiny that Hillary Clinton has endured through her years in public life. As Barack Obama has stated, she has been under a microscope, for decades. This week, we witnessed the spectacle of the media's over-the-top obsession over Hillary's health. I understand that all-news stations such as CNN have to fill 24 hours, but really? She had a bout of pneumonia (which she should have revealed sooner). She's not dying. If Hillary were a man, would Trump be accusing her of not having the energy and stamina to carry out the duties of the highest office in the land? President Dwight D. Eisenhower suffered a much-publicized heart attack in September of 1955. Yet that didn't stop him from seeking a second term in office in the election 1956, which he won over the less popular Adlai Stevenson. Can you imagine how today's media would have reacted if Hillary had had a heart attack? Meanwhile, Donald Trump continues to make outlandish remarks and disgusting comments. It is not Hillary who wants to build a wall between Mexico and the United States. It' wasn't Hillary, but Trump, who stated that Mexicans are "bringing crime" and that "they're rapists." Trump also added that he assumes that some are good people. Well, isn't that generous of him. At least he didn't say, 'Some of my best friends are Mexicans." The number of companies and others alleging he hasn’t paid suggests that either his companies have a poor track record hiring workers and assessing contractors or that Trump businesses renege on contracts, refuse to pay, or consistently attempt to change payment terms after work is complete as is alleged in dozens of court cases. Oh, and don't forget the Trump University scam. In a June 2, 2016 article in The New Yorker, John Cassidy asks the following question: "Will one of the world's leading democracies elect as its President a businessman who founded and operated a for-profit learning annex that some of its own employees regard a a giant ripoff, and that the highest legal officer in New York State has described as a classic bait-and-switch scheme?" Then there is the matter of the Trump Foundation, a private charitable organization that Trump started in 1987 from the profits of his bestselling book, The Art of the Deal. New York's attorney general, Ed Schneiderman said he is investigating the foundation over "suspected" impropriety. Not surprisingly, the Trump campaign has called Schneiderman, a Democrat, a "political hack." Let's talk about transparency now. It's not Hillary who hasn't released her tax returns. It's Donald Trump. If he has nothing to hide, why doesn't he release them for heaven's sake. Furthermore, Trump hasn't been forthright about his medical history either. One day after he announced he would release his larger health history on The Doctor Oz Show, Dr. Oz admitted that he wouldn't ask the Republican nominee any difficult questions. "This is a doctor's office, the studio" Oz declared yesterday morning on Fox and Friends. "So, I'm not gong to ask him questions he doesn't want to have answered, and I also don't want to talk about anyone else." It's not Hillary, but Donald Trump, who is outspoken in his admiration for Russian President Vladimir Putin. It's not Hillary, but Donald Trump, who is the favoured candidate of white supremacist David Duke. It is Trump who thinks hat climate change is a hoax, despite a mass of scientific evidence to the contrary. It' is Trump who wants to revoke the Affordable Care Act, commonly known as "Obamacare," despite the fact that millions of American now have health insurance. Hillary, on the other hand, has promised to continue and improve upon Obama's health care policy. Female leaders are nothing new. Germany's Angela Merkel and Britain's Theresa May currently lead two of Europe's most powerful countries.. Now Hillary Clinton has made history by becoming the first woman presidential nominee of any major American political party. Unfortunately, due to her gender, she has been disparaged and denigrated. The Republican Party is the party of Abraham Lincoln. Surely the GOP can do better than to elect Donald Trump as its nominee. America can do better than to elect him. It's sad that he has come so close to occupying the Oval Office. It will be even sadder if he wins the election. The media are a huge mart of the problem. Trump is a born showman, an entertainer. The media find him immensely entertaining. They enjoy covering his controversial comments and his many antics. Trump revels in the attention. He enjoys performing for the cameras. Is it any wonder that some American's have trouble distinguishing between "realty" and a "realty show?" The lines have been so blurred that Trump himself behaves as if he is auditioning for a television show - The Presidency of Donald Trump, starring Donald Trump. Voters need to be reminded that the American presidency is not a game. It's not a show and its certainly not a real estate deal. The world marks a terrible anniversary today. 15 years have passed since the terrorist attacks of 9/11 and life has never been the same. We face stiff security and regulations around the world at airports and baseball parks. The days when I, as a Canadian, could enter the United States with just a birth certificate are long gone. Subways and other public places in major cities are vulnerable to terrorist attacks. I will never ever forget the details of that dreadful day, 15 year ago. I will always remember the horror and the courage displayed. Both are stamped indelibly in my mind. As I prepared to go to work at the Toronto Star newspaper library that fateful morning, I turned on the television to catch the news headlines. With a deeply sombre voice, an announcer reported that a plane had crashed into one of the twin towers of the World Trade Center in Manhattan. The crash was replayed over and over again. At first, I thought it was a terrible accident, that a pilot had miscalculated and lost control of the plane. Such was not the case. There was more to it, something much more sinister. Before I went out the door, I was informed that the second tower had also been hit and that there had been terrorist attacks elsewhere. I was shocked and astonished. As I stepped outside to wait for my bus, I couldn't help noticing what a picture perfect day it was. There was nary a cloud in the bright blue sky. My head was spinning. What was going on? Was this Armageddon? When I arrived at work I immediately noticed a flurry of activity in the library and in the newsroom. The little television in the library was turned on to CNN. I was shocked to see that both towers had completely toppled. Reporters were scurrying around the library searching for road maps and routes from Toronto to New York City. They were determined to get there to cover the story. I sat down at my computer to begin archiving the day's paper, as I was assigned to do. My colleagues at the reference desk were besieged with requests. Our manager at the time walked over to help out at the reference desk. As she passed me, she asked, "How can you work at a time like this?" "It has to be done," I responded calmly, although my head was still spinning. After the Japanese attack on Pearl Harbor, Franklin D. Roosevelt described December 7, 1941 as "a date which will live infamy." September 11, 2001, 60 years later, is the second "date which will live in infamy," The Third Reich and Imperial Japan were eventually defeated, but terrorism still rears its ugly head. Sadly, radicalism and anti-Western hatred have been energized by the U.S. military response to 9/11 - America's ill-fated and ill-conceived invasion of Iraq. Understandably, America was literally and figuratively wounded on 9/11.. Americans wanted to lash out at someone or something. Unfortunately, invading Iraq was the wrong choice. It was a tragic choice. Not a single 9/11 terrorist was from Iraq. All of the 19 hijackers were affiliated with al-Quaeda. 15 were Saudi Arabian citizens. Of the remaining four, two hailed from the United Arab Emirates, one was from Egypt and one was from Lebanon. With the misguided belief that Iraq held weapons of mass destruction, the United States, under President George W. Bush, invaded Iraq in 2003. Many innocent people, the vast majority of them Muslims, were killed. It was a terrible loss of human life and Iraqi's wondered why they were being killed and punished in retaliation for 9/11. In short the invasion of Iraq was unconscionable in human cost. Bush's folly also cost the United States greatly in financial terms. Here are some statistics according to the Costs of War Project by the Watson Institute for International Studies at Brown University in Providence, Rhode Island: According to the 2013 report, the U.S. war in Iraq killed at least 134,000 Iraqi citizens might have contributed to the deaths of quadruple that number. When journalists, humanitarian workers and insurgents were added to the total, the wars death toll increased to an estimated 176.000 - 189,000. The war cost a whopping $1.7 trillion with an extra $490 billion in benefits owed to war veterans, a number which is still growing and could reach $6 trillion over the next forty years (with interest factored in). When I look at those numbers, I want to weep. The waste is human terms and financial terms is staggering. It makes me think of what Donald Trump's folly might cost in terms of lives and money if he should become President of the United States. Here is an infographic especially for university students. It contains tips on how to make your student room or dorm feel as comfortable and familiar as your bedroom at home. I hope you find it useful. Should the Loon Be Canada's National Bird? - From the song "Ringneck Loon"
Across the lake, the loon call echoes . . . It is right and fitting that the loon should be Canada's national bird. The Canadian people have spoken. They have made their choice clear in a recent online survey - part of the "National Bird Project," presented by the Royal Canadian Geographic Society (RCGS) and Canadian Geographic magazine. The contest ended August 31st and the results are in. The common loon finished in first place with 13,995 votes. The snowy owl came in second with 8,948 votes, followed by the gray jay (also known as the whiskey jack) with 7,918 votes. 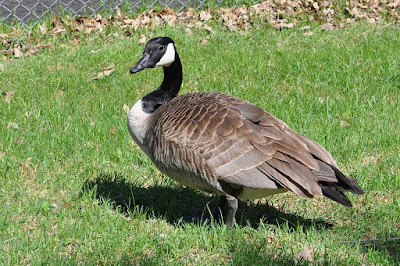 The Canada goose received 3,616 votes. The goal, according to the RCGS, is "to designate an official bird for Canada by 2017, the country's sesquicentennial (150th anniversary)." On September 19th, ornithologists, cultural experts and writers will converge in Ottawa to discuss the issue. They will discuss the results of the survey and debate the relative merits of each of the top five birds, After choosing from among those five candidates, they will inform the federal government of their recommendation. The official winner will be revealed in the Canadian Geographic's December 2016 annual wildlife issue (on newsstands November 21st). It is important to remember that the loon, despite being the popular choice in the survey, will not necessarily be the recommendation of the Royal Canadian Geographic Society. There are other factors that the RCGS will take into consideration before making a decision. It's not just a popularity contest. Still, there are many solid reasons why the loon is the best choice for Canada's national bird. 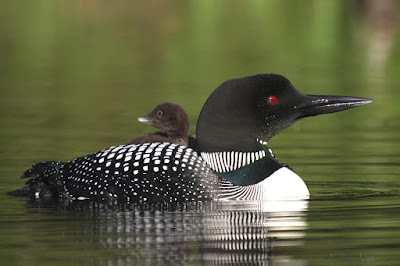 More than any other bird, the loon symbolizes Canada, Common loons can be found throughout this vast country, from Newfoundland and Labrador to British Columbia, as well as in the three northern territories. The loon is a magnificent water bird and it represents the solitude of the wilderness. Its distinctive call is hauntingly beautiful. The loon appears on Canada's one dollar coin, commonly known "the loonie," It is already the provincial bird of Ontario and, yes, it's the state bird of Minnesota too. That doesn't matter, though. Oregon's state animal is the beaver, but the beaver is still widely recognized as a symbol of Canada and it's Canada's national animal. The snowy owl, the gray jay and the Canada goose are not without great merit and they are all worthy candidates. 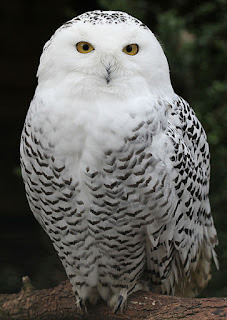 I like the the snowy owl immensely and it would be my second choice, It is one of largest species of owl and has beautiful, thick plumage. The gray jay (whiskey jack) would be my third preference. It is a member of the crow and jay family and can be seen in the boreal forests of North America. My fourth choice, the Canada goose, bears the name of our country and it can be be found in every Canadian province at one time of the year or other. However, it is a honking bird (I'm referring to both its size and its sound) that can be quite a nuisance at times. (It leaves its calling card everywhere). I much prefer the call of the loon than the honking of a Canadian goose. I know where I stand. It's got to be the loon for me. Do you agree? Take Number 16's own survey on Canada's national bird. What is your choice for the national bird of Canada? EDITOR'S UPDATE (November 22, 2016): On Wednesday, November 16, 2016, the Royal Canadian Geographic Society announced its choice for Canada's national bird. At the society's annual dinner in Ottawa. 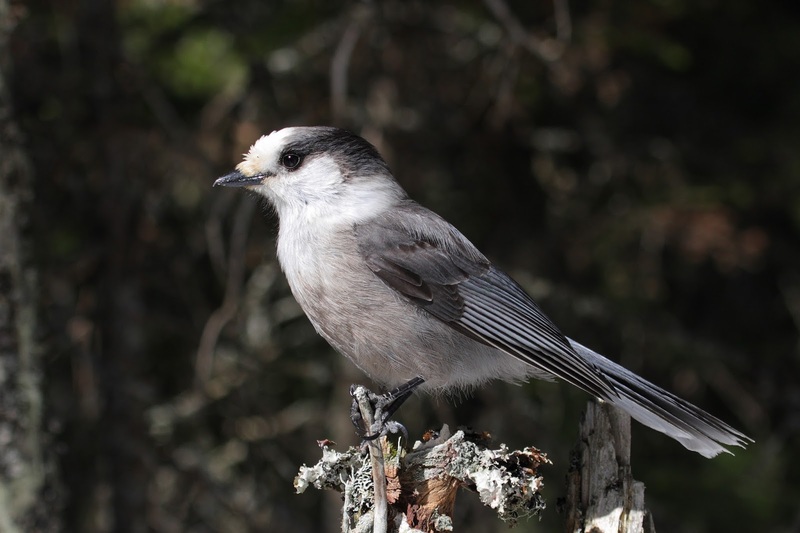 Its expert panel chose the gray jay, also known as the whiskey jack. In the online contest, which attractded nearly 50,000 voters, the gray jay finished third to the common loon and the snowy owl. Ornithologist David Bird (Yes, that's his name! ), a member of the expert panel, stated that the gray jay is "a poster child for the boreal forest, our national and provincial parks, and for climate change." Bird argued that among the other finalists,the loon is already Ontario's provincial bird, the snowy owl is Quebec's and the black-capped chickadee is New Brunswick's. It is important to note that nothing is official. Canad's federal government has not even committed to naming a national bird. Meanwhile, the debate continues. EDITOR'S UPDATE (July 3, 2017): It appears that Canada will not have a national bird this year, in time for the country's 150th anniversary. 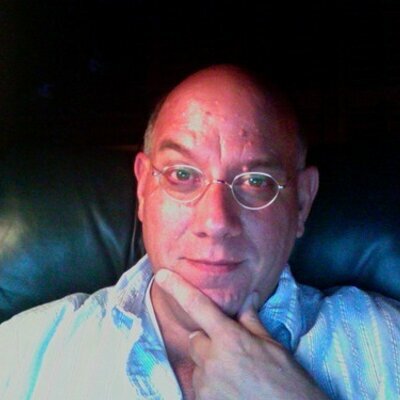 Aaron Kylie, editor-and-chief of Canadian Geograhic, and others, contacted Heritage Minister Mélanie Joly. They were told that "at this time we are not considering any new national symbols." In an email to the CBC, a spokeswomen for the Department of Heritage confirmed this stance by stating: "At this time, the government of Canada is not actively considering proposals to adopt a bird as a national symbol."